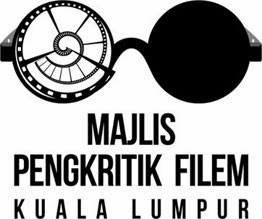 In recent years, independent filmmakers from Southeast Asia, in particular from The Philippines, Malaysia, Thailand and Indonesia have received some support from film festivals by way of monetary awards and grants. Simultaneously there have been co-productions (Singapore's Raintree Productions and MediaCorp for example) with film production companies outside the country, within the region, and with Hong Kong. Diasporic filmmakers also continue to return to make films in Southeast Asia. At other levels, individual filmmakers work across several countries within Southeast Asia or in Asia. While film practitioners have been more active on such circuits of exchange, the same cannot be said for film theoreticians in the region. Film theory in Southeast Asia seems haphazard and is applied on an ad hoc basis since its foundations in other bodies of knowledge (continental philosophy, for example) may sometimes provide inadequate ways of framing and theorizing films from Southeast Asia. This conference therefore sets out to explore the different ways in which filmmakers and film theorists have worked and can work within and beyond the limits of the region: as a product of colonialism and the Cold War, as nodes on a global network linked to economic, cultural, media and socio-cultural structures and flows, as equal and unequal partners in forging an identity that is both universal and particular. What theoretical frameworks can we deploy when discussing SEA cinema? Are existing ones, mostly developed from places other than SEA, sufficient for discussing the work produced in SEA? Is there a need to develop new theories? If so, what are the challenges that arise in developing a theory specific to discussing SEA cinema? What is its place in film theory and what place does film theory have in SEA today? Despite Southeast Asia as a region being a product of colonialism and the Cold War, the term continues to perpetuate certain colonial and imperial logics and power relations. Would it make more sense to think of individual SEAsian connections to other Asian countries and cultures (such as China, India, Japan or even the Middle East)? Why or why not? When we talk about "indigenous SEA" film theories, will that homogenize the field of SEA cinema? Globalization theory, film festival circuits, actor-network theory, co-productions and diasporic filmmaking in Southeast Asia. Examples include Filipino and Indian directors working in the studio system in Malaya during the 1950s and 1960s; the role of Indian/Chinese film producers in the early cinema histories of Indonesia, Malaysia/Singapore, Thailand, Burma, etc. 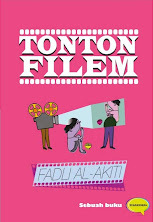 ; the impact of Indonesian films in Malaysia during the 1970s, etc. In recent years, films that are deemed to be disrespectful of the religion of specific countries have either been censored or banned: in Thailand, Apichatpong Weeresethakul's Syndromes and a Century (for portraying monks playing with airplanes), Yasmin Ahmad's Muallaf (2008) in Malaysia, and in Indonesia, Muslim clerics had a role to play in the withdrawal of films such as Kiss Me Quick (Buruan Cium Gue 2004). What are the repercussions and effects of such censorship regimes on civil society and filmmaking communities? How are films and film production reflective of social and political transformations (for example desecularisation) in these countries? Asian horror, film noir, melodrama, action, the teen flick, subgenres, Islamic film, `importance of education' subgenre of children's films, historical/costume drama, cult status films, political documentary, etc. Blogosphere (film bloggers), Youtube, the Internet in general. We also welcome submissions for the open call. Please send an abstract (max. 500 words) to : Gaikcheng.khoo@anu.edu.au; Sophfeline@earthlink.net; cvanheeren@gmail.com. nak "tag along" tapi kena tulis kertas kerja, leceh..